A man has admitted recklessly damaging satellite cables at his partner’s home during a bust-up. 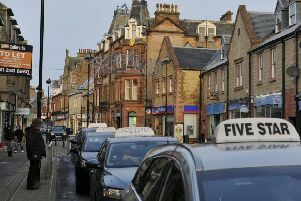 Alexander Wood appeared from custody at Jedburgh Sheriff Court and admitted committing the offence last Monday in the town’s Grieve Avenue, but a not-guilty plea to a charge of struggling with his partner was accepted by the crown. Sentence was deferred until October 30, when the 42-year-old, of Prince Charles House, Castlegate, Jedburgh, has other matters calling. He was released on bail on condition that he doesn’t contact his partner.